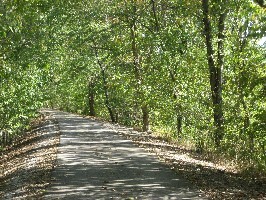 The Sugar Creek Trail links Crawfordsville High School the Big Four Rail corridor. It proceeds west to the R.R. Donnelley Trailhead Park and on to Sugar Creek. Our trail will preserve part of the railroad dating to 1853. Rails-to-Trails programs have been popular around the country, as they serve many recreational uses while preserving the railroads for future transportation.